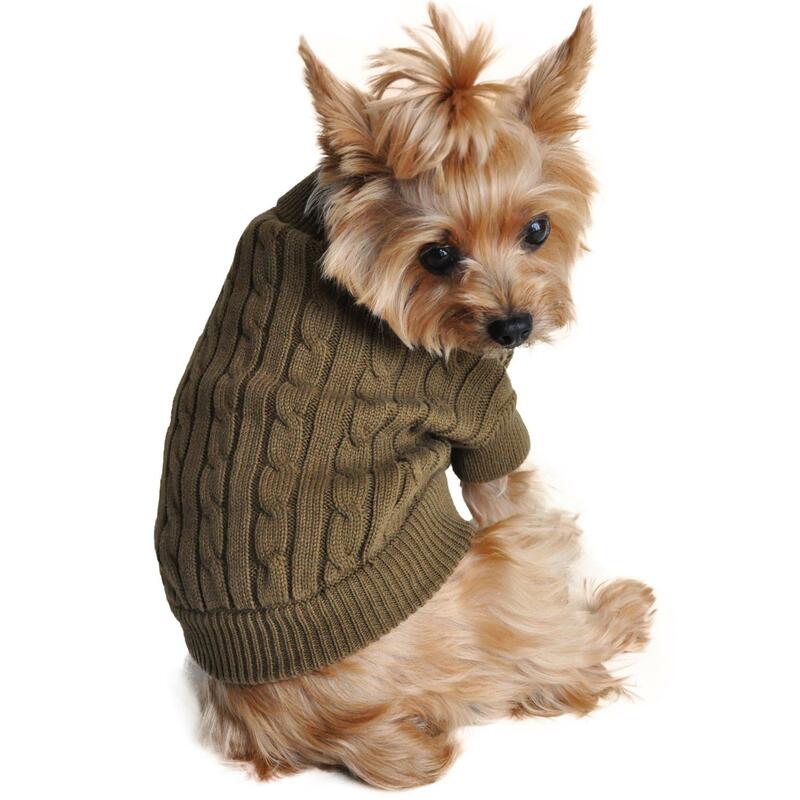 Fall will be your pup's favorite season when they get to wear this comfortable Combed Cotton Cable Knit Dog Sweater by Doggie Design in Herb Green! Looking for a classic style that's warm and cozy? 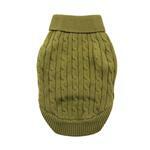 If this toasty Herb Green Cable Knit Sweater doesn’t make you want to cuddle up with your pup by the fire this Fall season, we aren’t sure what would. 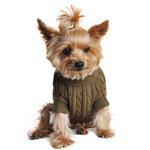 Cable Knit Dog Sweater by Doggie Design - Herb Green Customer Photos - Send us your photo! Rascal is a 9 1/2 lb. toy poodle and he loves wearing dog clothes. Being a poodle he needs to wear coats and sweaters on chilly days because poodles fur doesn’t get thicker in the wintertime. Baxter Boo has everything he needs for all sorts of weather. Posted On 01/07/19 by Lisa S from Halifax, PA Yes, Lisa S recommends this product! This sweater is very warm and with its classic style makes my poodle look very handsome. Love it ??! Posted On 10/08/18 by Nancy C from , Yes, Nancy C recommends this product! I only buy from Baxter Boo ! They have to best prices, best quality, friendly site, and always 100% pleased with my purchases. Also love my emails from the dog - puts a smile on my face. Can not beat there SALES ! !